A mercenary is captured during a battle and is imprisoned in the Great Wall only to discover the secret as to why the wall was built. “The Great Wall” is a better-than-average fantasy action adventure with some surprisingly good special effects and camera work. Matt Damon, who is admittedly out of his element, does a fair job as “William, “ the warrior who lends his sword and shield to the battle. “The Great Wall” has a few flaws, but once you get into the thrust of the film, those flaws are forgivable. In the end, “The Great Wall” deserves a B and is rated PG-13. An interracial couple visits her parents house with disturbing results. 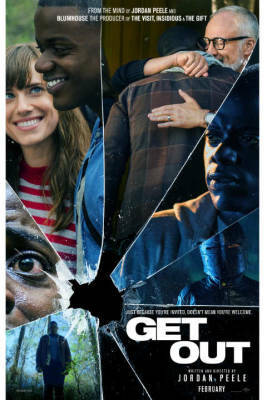 “Get Out” is a fresh and very witty look at horror movies. I liked the way the movie took its time to build, not revealing its secrets too early. “Get Out” is a new and intelligent horror film offering a twist on a very tired formula. Love scary movies? Check out the library of titles at www.dvd.netflix.com today! In the future former X-Man Logan, AKA Wolverine, has grown old and is getting weaker. He has been caregiver to Professor X while they hide out in Mexico. Into their lives comes a young mutant, a clone of Logan, who they must protect. 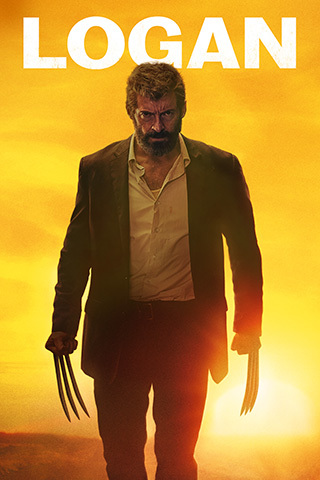 In a nutshell "Logan" is the best "X-Men" movie to date. It's gritty, violent and incredibly acted. The film carries an R for the violence and language, so parents be aware that this is NOT your typical "X-Men" film. It is a hard-core action film with lots of gore. That being said... and if you promise to leave the kids at home, you'll find that "Logan" is an unexpected and wild ride. It gets an A and is rated R.
Watch all the X-Men films at www.dvd.netflix.com!